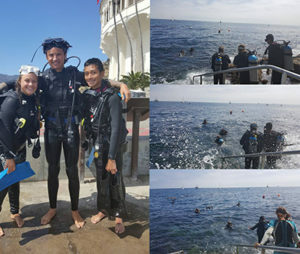 Have you ever wanted to try scuba diving during or get your scuba license during summer camp? This is an incredible chance to experience so incredible that you are bound to remember it for the rest of your life! 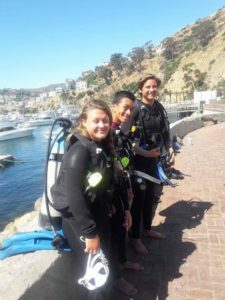 Catalina Island is known for it’s clear waters and protected marine ecosystems, making it one of the most majestic and desirable locations to scuba dive in the world. You see a plethora of sea life including fish, invertebrates, marine mammals, rays, skates and docile sharks (such as leopard sharks and horn sharks, which are non-aggressive and not dangerous to humans). Avalon’s Casino Point Dive Park is a protected marine preserve with a regular abundance of sea life including the enormous black sea bass, which have become regular residents. You can refill your tank for only $5.00 and enjoy multiple sessions at your leisure. Mountain and Sea Adventures (MSA) has started offering participants of their Floating Sea Camp summer program the opportunity to try out scuba diving, or even get your lifetime scuba certification card during two-week teen camp. Participants stay onboard the Enhydra, MSA’s hundred-and-twelve foot marine research vessel with full professional galley and nineteen private staterooms, each with their own shower and restrooms. The summer camp program hosted by MSA is the experience of a lifetime and guaranteed to be the highlight of your summer. Come enjoy a full week of living onboard a marine research vessel while exploring the various coves, beaches and dive spots of Santa Catalina Island. Adventure activities include snorkeling and scuba diving, hiking the trails of the island, exploring the coastline by means of kayak, and participating in endless games and playtime in the water. The dive license you earn during two-week teen camp is for life! This opens up the opportunity to experience so many incredible diving locations around the world, which other people only dream about visiting themselves. This single event can become the launching pad to furthering your interests in marine biology and experiencing more of the marine environment. 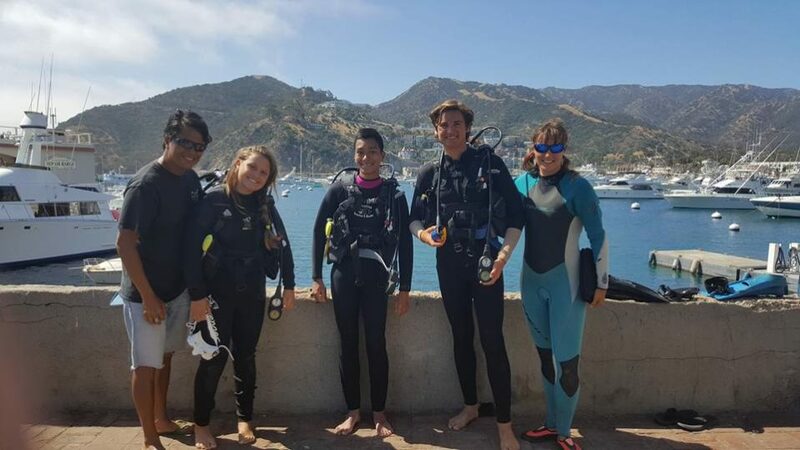 Our staff and professional dive instructors work along side you every step of the way, being sure you always feel comfortable and safe at all times. Are you ready for the adventure of a lifetime! 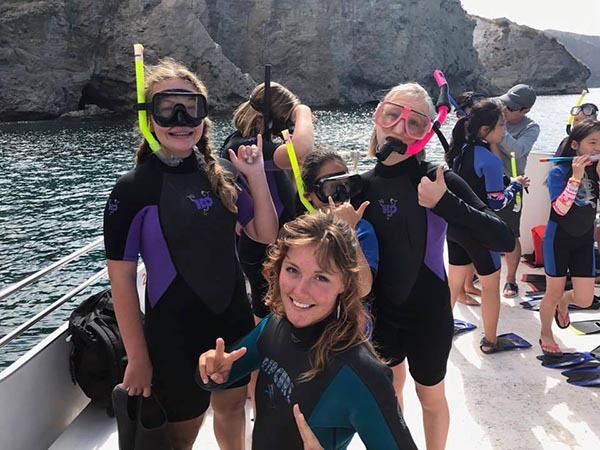 Make your summer vacation the very best it can possible be by registering for Floating Sea Camp and come to Catalina Island to play in the sun and sea together for a whole week! 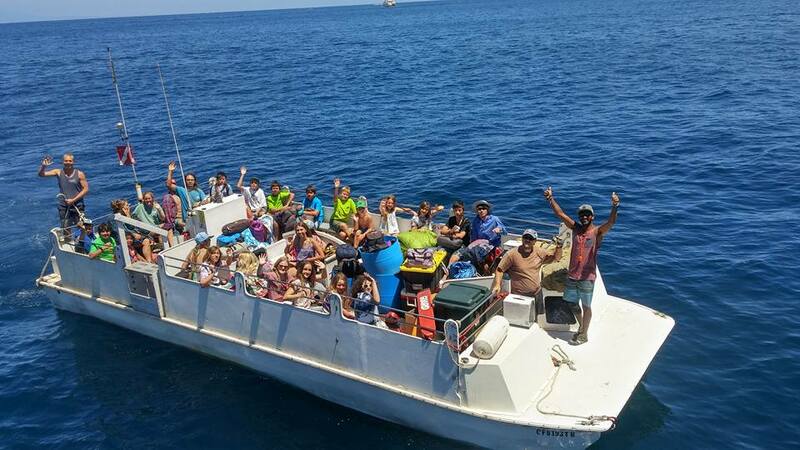 Come stay onboard a leisurely hundred-and-twelve foot US Coast Guard certified marine research vessel and experience a full week of Floating Sea Camp! Enjoy awesome adventure activities such as snorkeling, kayaking, jumping from the top deck, exploring remote coves, sea caves, surfing on the backside of the island, and lots more! Mountain and Sea Adventure’s (MSA’s) new Floating Sea Camp program is unlike any other summer camp in southern California! You get to explore the wonderful world of marine biology along side the new friends you have just made during your week of camp. The bonds of friendship made between campers during sea camp often last a lifetime, as the experiences you share together are so incredibly adventurous and memorable! 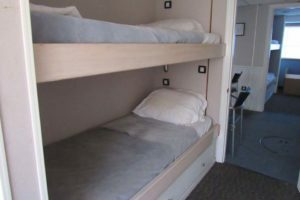 The accommodations onboard the Enhydra are very comfortable and leisurely, each private stateroom has two beds, thermostat, a shower, sink, and restroom, as well as a dresser and under bed storage. The professional full-size galley allows us to serve freshly prepared gourmet meals three times per day! So, say goodbye to typical boring camp food, just because we are remote doesn’t mean we can’t live well! In addition to our full staff of counselors, we also have a full time skilled chef dedicated to keeping our stomachs full and happy! Come for an additional week of Floating Sea Camp and enjoy some extra perks and activities! 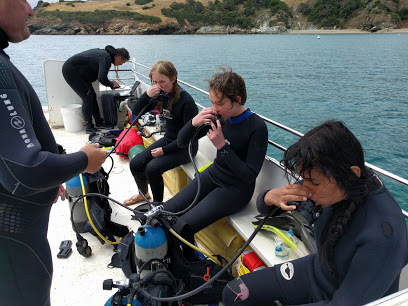 During our two-week teen camp we take the time to hike sections of the Trans Catalina Trail, camp out at various scenic locations on the island, spend an extra day snorkeling/scuba diving at Avalon Casino Point Dive Park, advanced SOAK’d certificates, and optional lifetime scuba certification course! MSA is now offering the opportunity to try an introductory discover dive experience, or go through our PADI Open Water Dive Course and earn your lifetime dive certificate, which you can use to continue experiencing underwater landscapes anywhere around the world! Work along side our full staff and dive instructors to become proficient and gain the required experience to be able to proudly declare yourself a ‘diver’! This is an intensive two-week training where you will be diving nearly every day at one of the most majestic and desirable dive locations on Earth!